When I was a kid I absolutely loved finding my easter basket. My mom would always hide it well. The hunt was often more exciting than the actual basket. Now that I am a mom, I am so excited to hide my son’s easter basket. There’s just one problem…. This poses a problem for us natural mamas who don’t want to allow a holiday to dictate how we feed our children. If you have built a strong foundation of good eating habits, you don’t want to let a single holiday ruin all your hard work. These healthy Easter basket ideas will help make Easter fun for your kids but still centered around your values. We may earn commissions on products purchased through our links. Please read the full disclosure for more information. Healthy Easter Basket Ideas Your Children Will Love! When making an Easter basket, you want to include a variety of things to make it fun. This will be especially true if you are just starting out on a healthy lifestyle and your kids are used to getting candy. I like to include healthy snacks, educational activities, toys, and even tickets for fun experiences. 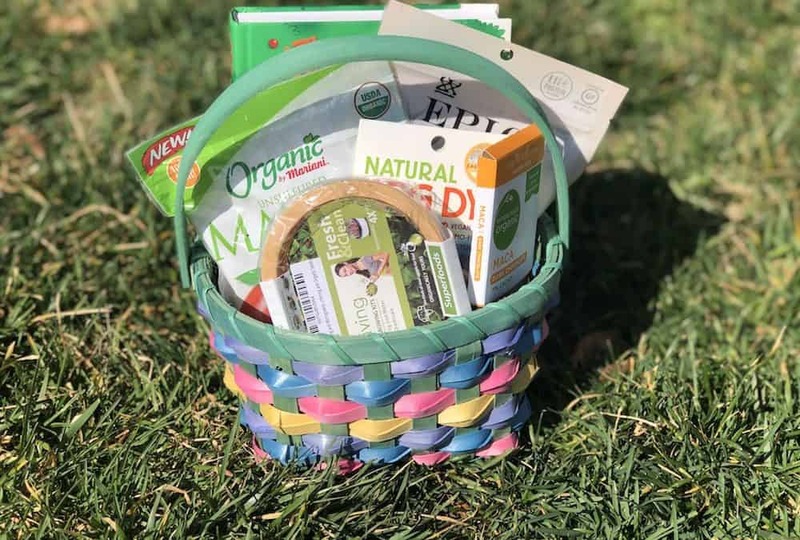 Here is some suggestions of things to include in a healthy easter basket. These healthy snack ideas for an Easter basket includes things that are sweet, salty, and savory. Keep in mind a lot of these you can buy in bulk if you have multiple children. I also love the idea of making fresh snacks for kids. This homemade peanut butter cookie recipe uses no sugar and very minimal ingredients. Since Easter marks the beginning of Spring, it’s fun to add something that related to gardening. It is so important to teach our children to be self sustaining. You never know what little thing will spark a passion inside of them. I also like to encourage active outdoor activity. Nothing is better for little bodies then fresh air and exercise. And of course I have to include some fun books for the Reason for the season. What about spending quality time together as a family for an Easter gift? I love the idea of getting kids tickets to do something they will truly enjoy! 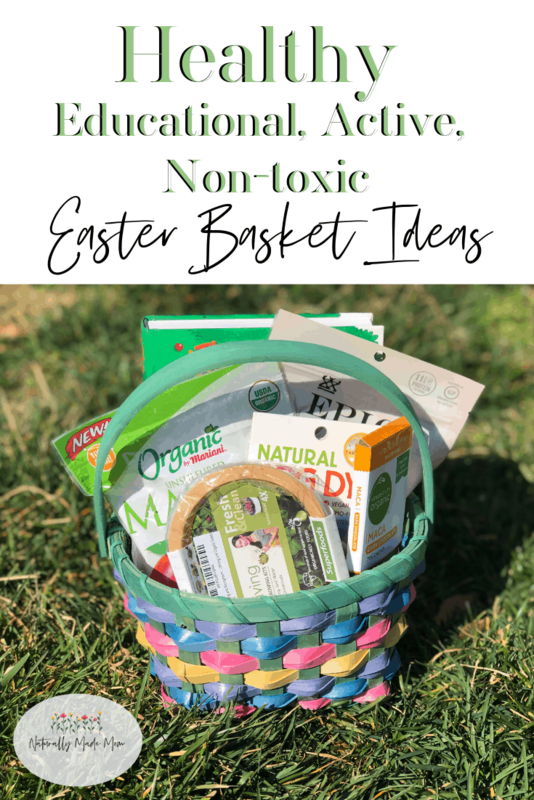 Obviously you know your child better than I do but here are some general suggestions for experiences that would be fun to include in an Easter basket. It wouldn’t be Easter without eggs! Instead of using plastic eggs that are terrible for our environment and filled with candy, why not use real eggs. This natural egg dye is so much better for our children’s precious little bodies. It is made from non-GMO plant based ingredients. First you will dye the eggs with your kids ahead of time. They will love this activity! Then on Easter morning while they are still asleep put circle stickers on each egg and write a number on it. If you have 2 kids write the number 1 or number 2 on random eggs. If you have three kids then write 1, 2, and 3 evenly on the eggs. Then hide them in the yard. Whoever collects the most of one particular number wins the prize with that number on it. This is a great way to ensure everyone will win a prize. You can prepare an area where you will conceal the prizes associated with each number. This could be a homemade treat or special toy. Bonus: The eggs are still safe to eat! 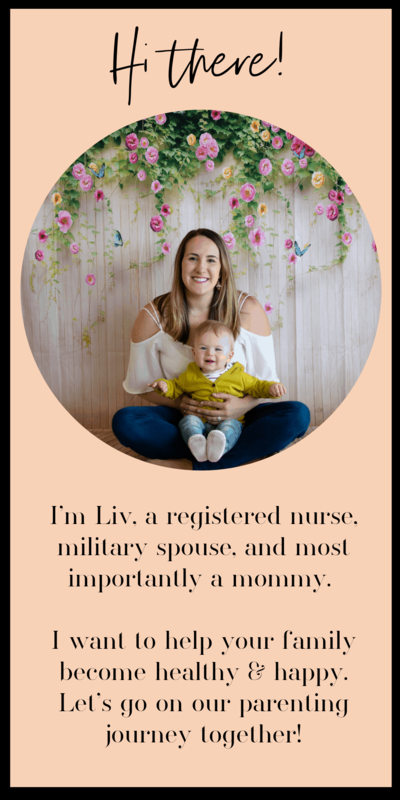 Sign up for my newsletter and join the tribe of health conscious moms! This journey should be shared together. We love Hippeas & love this idea!! Costco has a huge bag we get for a great deal! I’m so glad someone else out there does!